Lil' Blog and More: Week 33 on Nutrisystem... Still going strong :)! So this week, I am completely back on track. I had a great week this week. Not only did I start up on my workout routine again, but I've always tried new foods! With my extras, I am trying different fruits, veggies, and just really keeping it interesting. This past week I tried something brand new to me; Rhubarb. It kind of looks like celery, but it's super sour, and tart - Definitely a new experience! 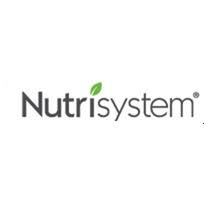 Before Nutrisystem, I never realized how easy it can be to stay interested. In the past, I always made excuses, "Oh, I hate tomatoes, and brussel sprouts, and this, and that" and I would just eat the same things over and over, and eventually, I would get bored. Now, I am learning that there are so many foods, I'd never even considered trying, that are actually pretty good. You can do a lot of things to spruce them up too. You can always change things, and stay interested - It just takes a little research, and the will to try new things :). I did start incorporating my exercise again this week, and I followed my diet perfectly, and I am proud to say, I am down another 1.6lbs this week! That brings my total weight loss to 45.8lbs.. and closer to my 50lb weight loss goal :)!! Later this week, I will be getting some new foods, like the Chocolate Frosted Donut, and the Honey Wheat Bagle. I will also be trying the protein shakes, which are new with the Success program, so I can't wait to share next week :)! Congrats on the loss and sticking to your diet. The food looks great. You are doing so great on this- and NOW when you are young is the time to make the changes stick. You have done so well and you look amazing! Congratulations! I know how hard it is lose more than 20 pounds and keep the motivation up! The doughnut is great! It is more of a cake doughnut than a flaky one, but it is VERY good. I love the shakes, but don't be shy with adding stuff to them - I love using half a fruit serving and adding it in (chocolate shake with half a cup of blackberries is my current favorite!). If you freeze the fruit you can use it instead of ice cubes. For the bagel I use one wedge of Laughing Cow cream cheese - so yummy! i really love the donut!